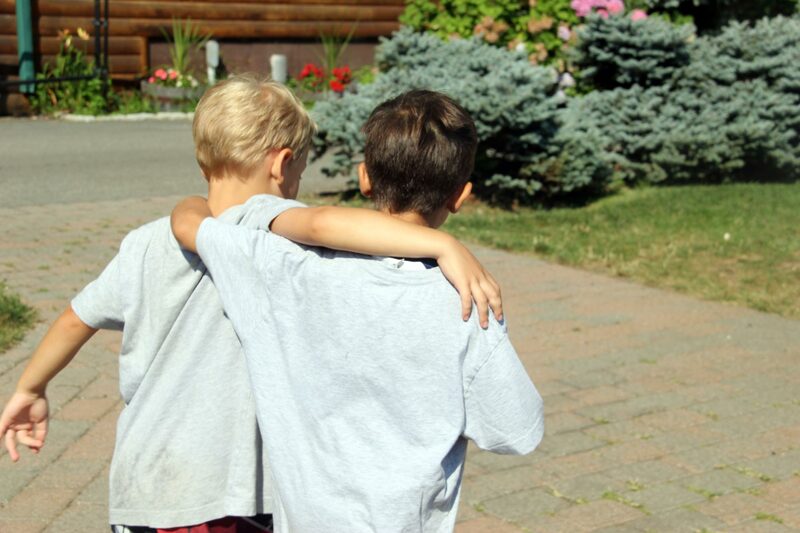 SLDC creates a positive experience for our older boys to grow both socially and developmentally. They gain a strong sense of accomplishment with each skill they learn and improve upon. It is the goal of Boys Camp to promote independence, spirit, individual interests, competence and pride, all while having fun in a happy and healthy camp environment. Here is where our boys leave technology at home, and spend their day “gaming” on the soccer field, or in our Discover Science center, or even in our Adventure Challenge areas. They experience healthy competition, learn how to work co-operatively with others and explore leadership skills. What great stepping stones to a positive future as a teenager and young adult! Group size averages 14-16 campers with 3 mature counselors per group. They are supervised by a Group Leader who oversees specific age groups’ campers and counselors as well as by the Head of Boys Camp who oversees and supervises all of the the group leaders, the Boys Camp staff and the campers. Boys Camp starts each day with morning announcements, trivia contests, recognition of staff and campers and lots of spirit to get everyone psyched for the day! Their program continues to offer Instructional Swim (see Aquatics) every morning along with a free swim period every afternoon. Campers’ daily schedules have a mix of sports, adventure challenge and arts activities along with the two periods of swim and lunch. All activities include in-depth instruction based on age and skill development. As they get older, the boys’ program will adjust to include activities that require more advanced skills, such as archery, sports leagues with trophies and medals, the super zip line across our 5 acre lake, the fitness center’s strength and agility machines, our new “leap of faith” in the adventure challenge course, and more. Our 3rd graders and up have the opportunity to select one “option” (elective) period each day for one week’s length of time, allowing them to experience a sport, art or adventure related activity of their choice on a more intensive level or simply because they enjoy it! There is a list of more than 30 activities to pick from! Boys can also participate in the camp musical production, which does require some more time than the one option period during the camp day. Boys Camp also loves their Sport Team Breakfast, their playful rivalry with Girls Camp, dressing up in Green and White for Spirit Day and Color War, and our special events including Land and Sea and Carnival! Our OPTIONAL Adventure Travel Program is available to all campers in third grade and up, with an overnight trip available to our fifth grade campers and up. 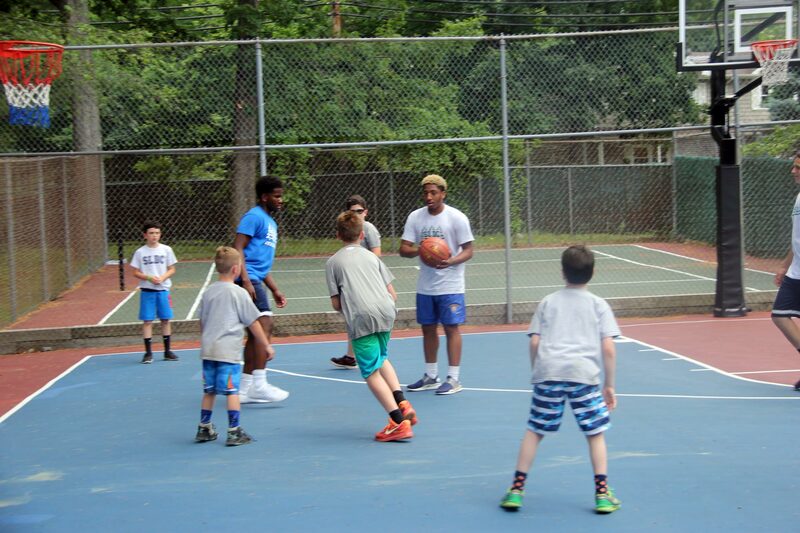 If campers do not participate in any trip, they will have a regularly scheduled day at camp with their group. SLDC looks forward to our Giants taking the first step towards becoming a homegrown member of our SLDC staff when they enter our Junior Training Program as 9th graders!